Google Glass was announced on Google+ back in April 2012. It’s being developed by Google X labs which is also developing other cool stuff like self driving cars. On the surface the gadget looks like a pair of ordinary glasses, however underneath it, it run’s Google’s android OS and works as an “augmented reality head mounted display”. It comes equipped with a small screen, overlayed on top of its lenses. The user can then use voice activated commands to complete different tasks like making phone calls, getting directions, checking the weather and so forth. I also recently found out that Microsoft’s been busy, securing patents related to this type of technology. They’ve always been a little late on this type of stuff, so I guess they’ve decided not to play catch up this time around. Accessibility and the purpose variable. Now lets go over why I think we’re a long way away from letting go of our smart phones and replacing them with face mounted gadgets. One of the lines from the article that stands out is “Computers have been getting smaller and closer to our faces since their very beginning.” Although the author is right that computers have been getting smaller, but I’m not sure where he got the idea that they’ve been getting closer to our faces. He needs to put down his monitor and start to follow these general guidelines before burning off his retina. The trend toward smaller and smaller computers has been fueled by the desire for accessibility, not so we can hold them closer to our faces. For something to be accessible it should first be easy to access and second easy to put away. That’s why we like our phones and computers to be as small as possible. So we can fit them in our pockets or our backpacks. To be able to take them out on the fly, do what we need, and put them away once we’re done. It’s important to know that accessibility comes in two parts, first being able to access and second to be able to put away. 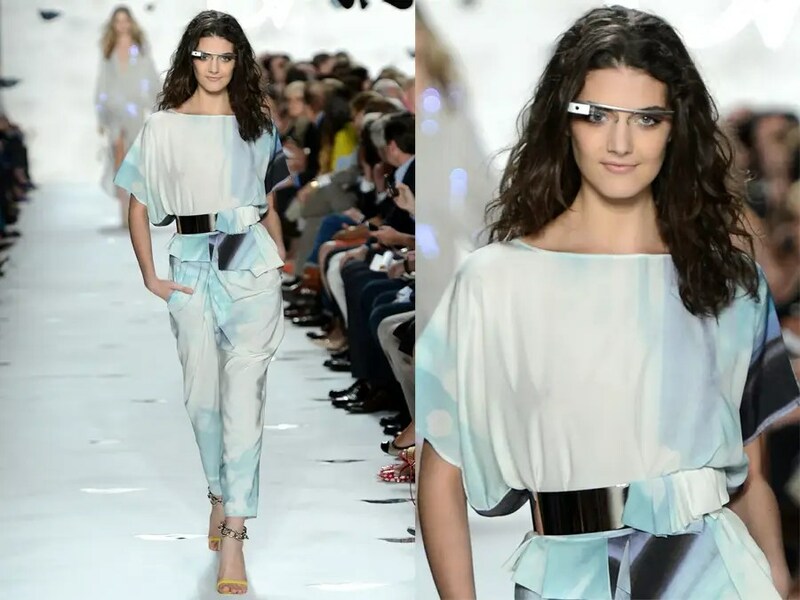 The problem with Google Glass and these types of gadgets is that they’re designed to play an active role in our lives. They’re no longer a tool or a gadget, they’re designed to become an extensions of the user’s life. There is no putting away and this makes them less accessible. I spend a lot of time on my phone and in a lot of ways it has become an extension of my life, but personally I cherish the ability to be able to put it away. I like the fact that it doesn’t play an active role in my life and is not intrusive by design. I don’t think I would be able to say the same thing about Google Glass. Again, I’m speaking for myself and the market might behave differently, but these are valid points that should be considered before jumping in to conclusion regarding the life span of smart phones. I remember I was a second year student when one of my professors was asked, “what was the number one reason for the .com bubble.” He responded with “There were simply too many companies solving problems that didn’t exist.” Although I don’t claim to have a good eye for judging whether a problem exists or not, there are enough questions to make you wonder if people are going to ditch their smart phones for face mounted augmented reality type gadgets. First off, lets look at why people ditched their normal phones for smart phones. Looking back, it’s easy to see the incentive: the ability to access the internet, to check your emails, to easily send text messages, to be able to take pictures and share them among your friends. These were all useful functionalists They were answers to problems that were not solved by normal phones. It was because of these incentives the smart phone market became a multi-billion dollar industry. Now the incentive of having a smart phone mounted on your face, to have it become an extension of your everyday life, to be literally in your face all the time, I’m not sure if it exists. I can see its novelty but beyond that, I don’t see them replacing smart phones. They might end up finding a specific niche market, ( the same way Segways found mall cops.) but as a smart phone killer, I simply don’t see it happening. ← Planning to develop an iOS game.